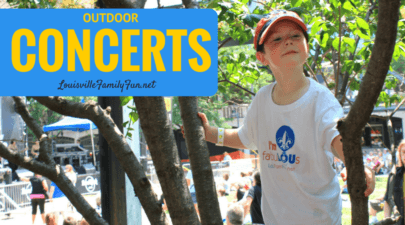 Outdoor concerts make for great family fun, no matter the type of music. Music on the Terrace at the Paddock Shops Thursdays 6:30-8pm, June through early. Check their Facebook page for updated band lineup information (not yet updated). FREE. Sunset Concert Series at Westport Village Select Thursdays, 6 – 8pm. FREE. Foxhollow Farm Sunset Concert Series Select Fridays of the month 6-9pm, May-September. $12 admission/$16 at the door, free admission for kids 12 and under if ticket purchased ahead/$5 at the door. You can bulk purchase tickets for all of the concert dates and save. FridayFest at Highview Park Fridays 6-10PM on select dates. FREE. Click here for a lineup. Middletown Spring & Summer Concert Series 2018 at Wetherby Park various Sundays 5:30-7:30pm. FREE. Forecastle 3 day music festival at Waterfront Park, 7/12-7/14, Admission fee. Kentucky State Fair Concerts Check their website for FREE concert dates with paid fair admission. Concerts requiring a paid admission are also scheduled. The fair runs 8/15-8/25. of the concerts require an admission fee. Various dates & times. 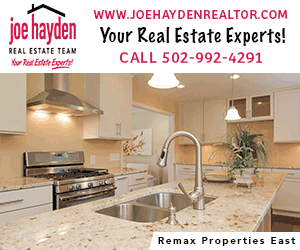 Bourbon & Beyond 2 day music festival at KY Expo Center grounds, 9/20-9/21, Admission fee.